36 hrs/wk; 7p-7a, 3 nights/wkw/every 3rdwkend and call/holiday rotation. 1st Position; 7p-7a, 36 hrs/wk. 2nd Position; 7p-7a, 24 hrs/wk., every 3rd wkend/holiday rotation. 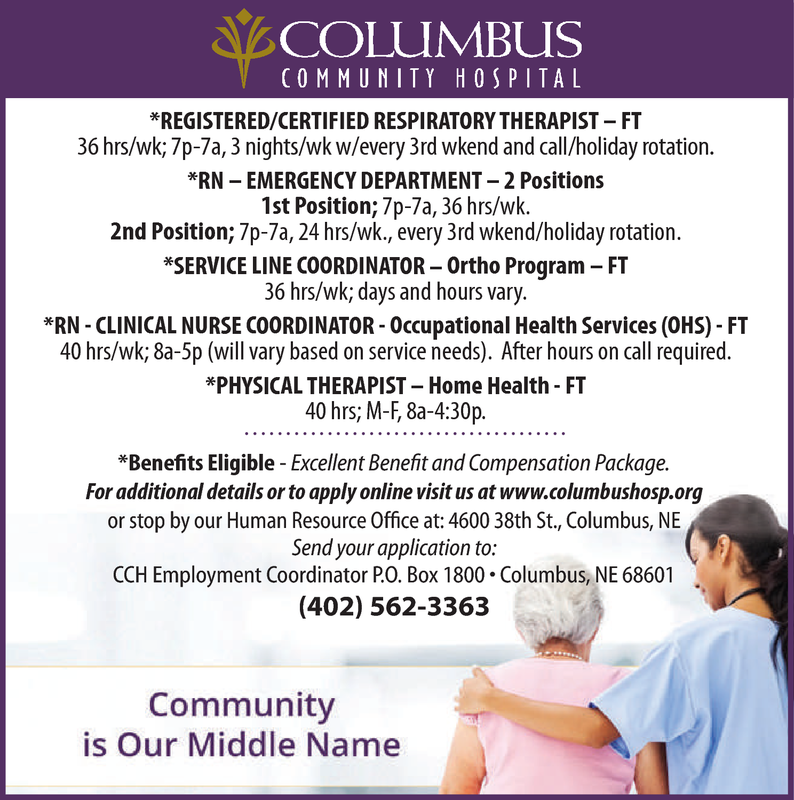 *Service Line Coordinator - Ortho Program - FT 36 hrs/wk; days and hours vary. 40 hrs/wk; 8a-5p (will vary based on service needs). After hours on call required. *Benefits Eligible - Excellent Benefit and Compensation Package.